Foamtreads are the most comfortable slippers your child will ever wear. 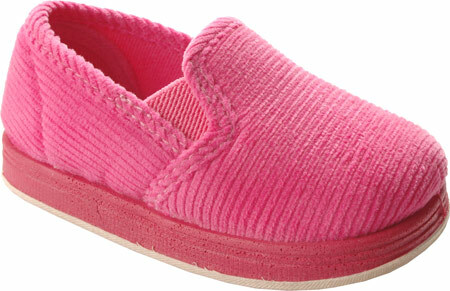 They are cozy warm and little feet friendly with flexible rubber outsoles. • Velcro closure for easy on/off and a secure fit. • A non-marking 100% rubber outsole provides comfort, traction and durability. Qualifies for 200 Rewards Points!